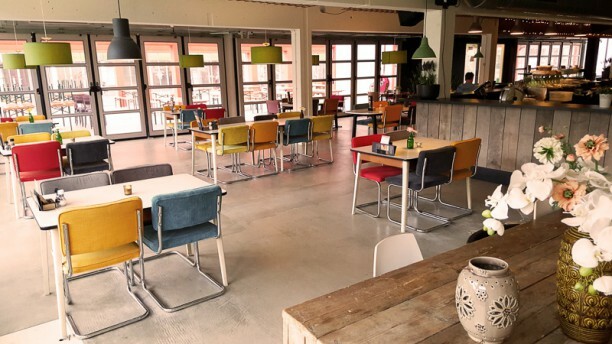 This restaurant is located on the student complex Uilenstede.Italian starts and further on dishes from around the world prepared with an eye for detail. The staff will make you feel right at home. Also a great place for parties up to 300 people. It is a colourful whole: wooden tables and on the wall a giant painted pear. The affordability of a student complex, yet the cooking skills of an ambitious team! Great food, location, atmosphere and weather. Portions could be a bit bigger but quality is good and prices are friendly.